Himalayan salt lamps emit a warm, soothing glow that I find very relaxing. This can help to create a mindful space inside your home. Light a tealight candle in an Himalayan Salt Candle Holder while you have a bath or some quiet time (for longevity don’t leave salt candle holders in the bathroom or other damp areas for long amounts of time as the water condensation can being to dissolve the salt- only take it in during bath time). Himalayan salt is hygroscopic which means salt naturally attracts water molecules from the air along with the dirt trapped in these molecules. When the salt dries out it releases clean water vapour but the trapped particles of dirt, dust, smoke etc stay trapped in the salt which is very clever. A 1 lb Himalayan Salt Lamp can cleanse the air in a 4′ by 4′ room. Although there is no scientific evidence for this many users say they can feel the benefit. I believe that we should fill our homes with as many natural features as we can such as plants in addition to salt lamps. Allergy sufferers may notice an improvement in their symptoms while placing a lamp in the area where they spend the most time. This is due to the lamp purifying the air and locking in the pet dander, dust and mould. I don’t suffer from allergies but I did find I sneezed less since using Himalayan Salt Lamps and Candles and the air just “feels” fresher. I like to keep Himalayan Salt Lamps in my work space as they are thought to increase concentration. The salt lamp emits negative ions that may increase blood and oxygen supplies to the brain. Other possible benefits that Himalayan Salt Lamp users have listed are an increase in energy levels, improved sleep and happiness. Another good reason to place an Himalayan Salt Lamp in your work area is because they are said to neutralise electromagnetic radiation. As I work on a computer all day and regularly use my phone for social media I’m very conscious of the fatigue caused by this exposure. Himalayan Salt Lamps are thought to emit negative ions to cancel out the positive ones therefore eliminating the symptoms of fatigue and stress. Himalayan Salt Lamps come in many shapes and sizes. In fact as they are a natural product every single one is unique. Personally, I like to use a combination of lamps and candle holders. Himalayan lamps come with a bulb and plug on a wooden base while the candle holders have a space to hold a tealight candle. I currently have a natural shaped rock lamp but I love the modern shapes sculptured above too. I love orange salt lamps as they remind me of the sunset. The Heart Shaped Orange Himalayan Lamp (Candle Holder) would make a thoughtful gift for a loved one. Traditionally Himalayan salt rocks were thought to protect friends and family. The Orange Pyramid Himalayan Salt Lamp is a striking lamp perfect for both homeowners with exotic tastes and those who like a geometric style. The Orange Himalayan Salt Lamp in a tear shape is a curved lamp that many will find calming, the rock shaped lamp will add a natural touch to your home and the sculpted sphere is stunning and reminds me of a glowing planet. 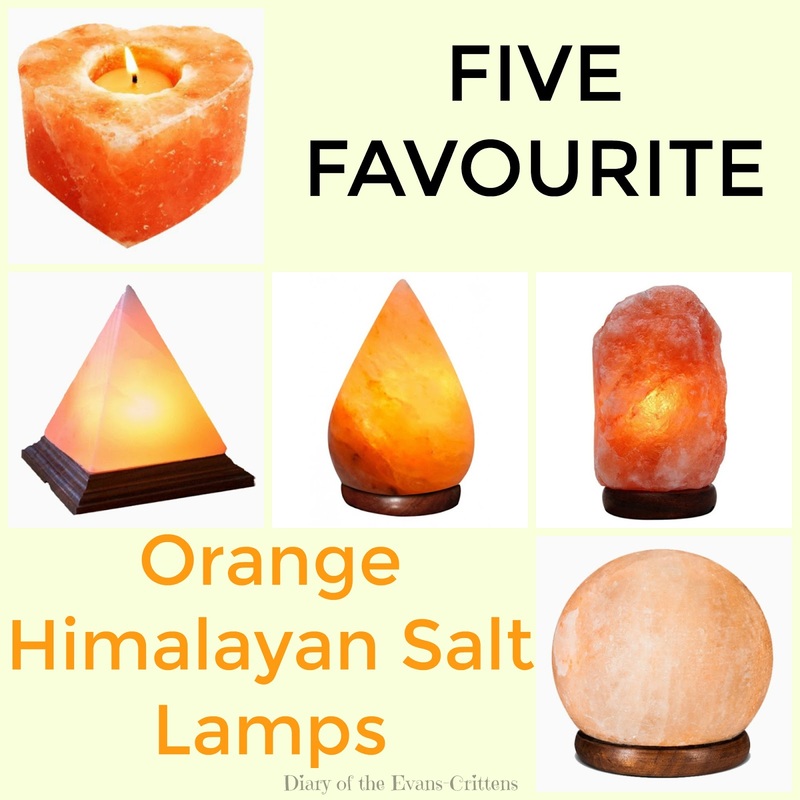 Which orange salt lamp is your favourite? All Emba Salt Lamps use Himalayan salt imported directly from Pakistan – the only country in the world that produces 100% Natural Himalayan Salt. Do make sure that your salt lamp is made from genuine Himalayan Salt to ensure you experience the full benefits. Do you have an Himalayan Salt Lamp? Would you like one in your home?